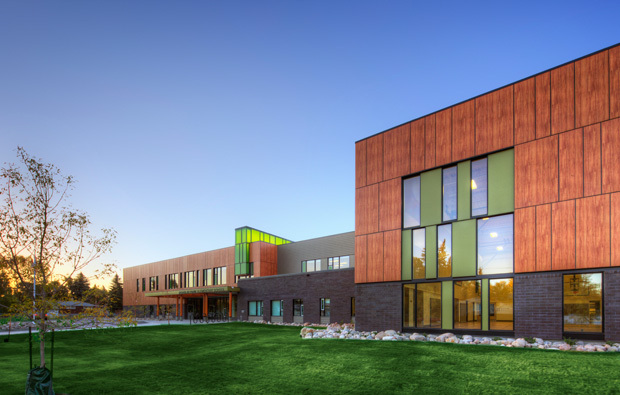 Civil Engineer: Clifton & Associates Ltd.
Douglas Park School has a wonderful quality of contrasting scales to it that is simultaneously cozy and grand. 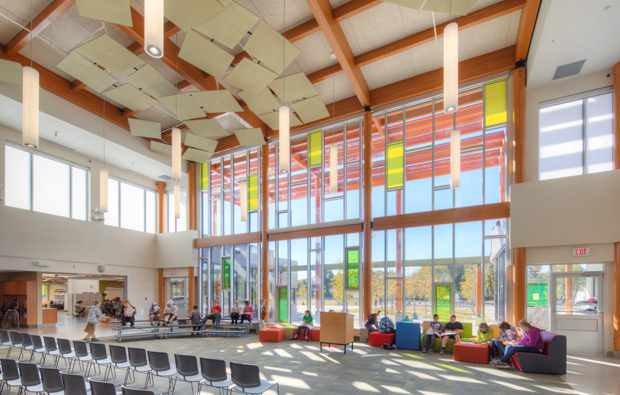 The creative use of wood and colored glazing panels in the common areas makes the elementary school approachable and inviting. The post and beam structure is nicely developed and the material transition from structure to the room spaces to the elevations and fenestration patterns is elegant. 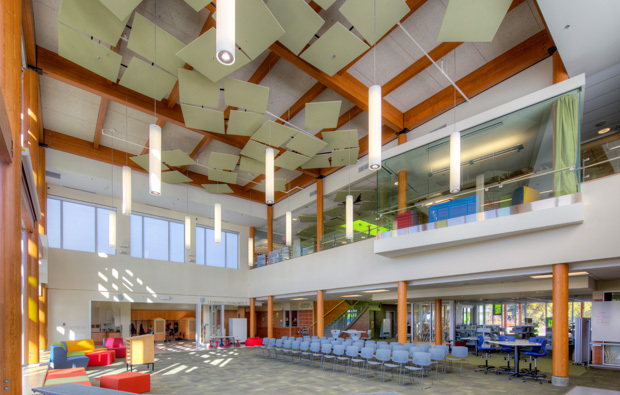 The program is divided into three learning commons that support individual and group learning and also provides social space for different age groups. The plan supports the learning commons concept admirably by connecting teachers with students. 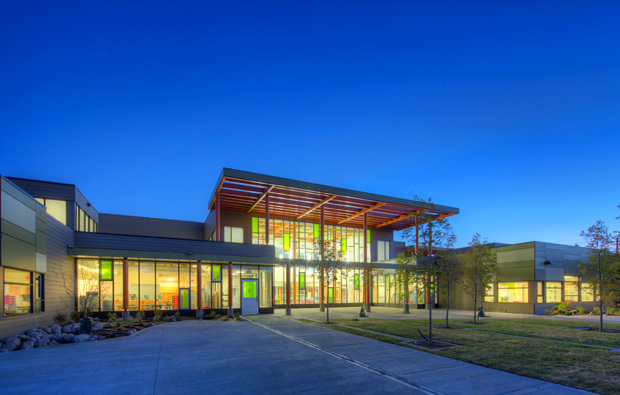 In turn, the learning commons are gathered around a larger school commons that extends the school program concentrically to outdoor programs that surround the building. The school is open and flexible but it is also quite intimate, with a size and scale that seems like the children would be inspired to be there.